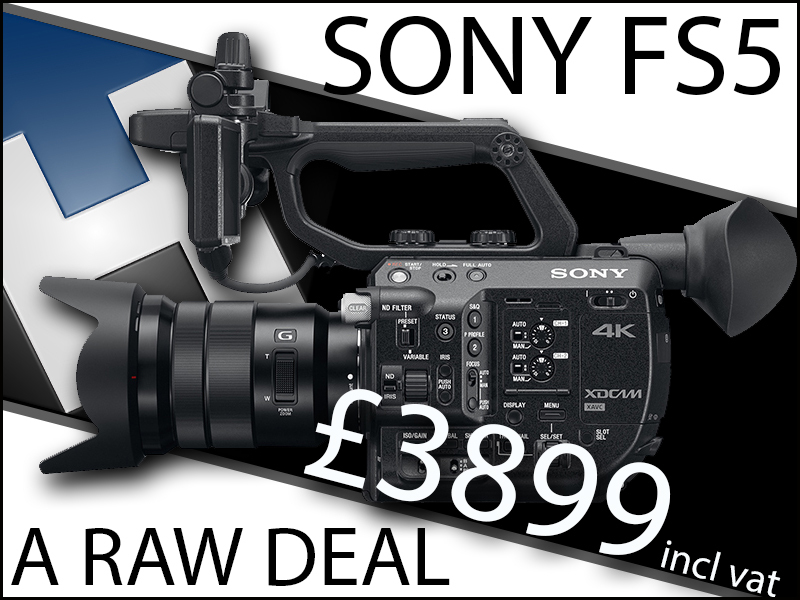 Buy a Sony FS5 during September from H Preston Media and get a FREE RAW upgrade CBKZ-FS5RIF worth £500 for £3899 incl vat this also includes a £300 cash back when you buy a lens adapter. PLUS 12 Months 0% Interest on every order over £500.00. Some people have been questioning this deal as being too good, phone John Preston and he will explain the deal to you.